In the race for autonomous driving and "autonomous driving as a service," Google's Waymo is lapping its competitors including Uber and Tesla. According to media reports, Waymo is going to be launching 62,000 Chrysler Pacifica minivans, which it will be adding to its fleet in anticipation of launching its self driving transportation service as soon as this year. These minivans will be equipped with the company's autonomous driving software, which puts Waymo ahead of companies like Uber and Tesla, both of which are also working on pushing into the new, burgeoning self-driving industry. 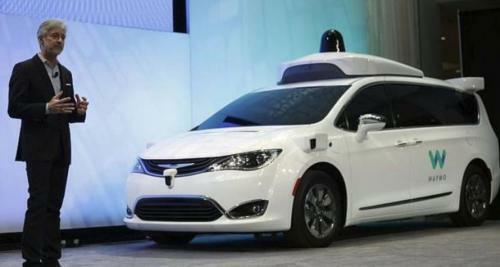 Google-owned Waymo is adding as many as 62,000 Fiat Chrysler minivans to its autonomous fleet in an expanded collaboration announced by the companies on Thursday. Delivery of the Chrysler Pacifica minivans was expected to begin later this year, with the automaker also exploring the potential to build Waymo technology into a self-driving car it might add to its model line-up for consumers. Waymo plans to launch the 'world's first self-driving transportation service' this year, with people able to summon rides from driverless vehicles using a smartphone application. The announcement came a day after Uber chief executive Dara Khosrowshahi reportedly said at a Code technology conference that the company is speaking with Waymo about putting its cars to work at the smartphone-summoned ride service. Uber early this year negotiated a settlement with Waymo over trade secrets purportedly purloined from the self-driving unit of Google-parent Alphabet. Uber suspended its own autonomous car testing in April after an accident that killed a woman pushing a bicycle in a street in Arizona. Fiat and Waymo first announced a self-driving car partnership two years ago, and said that engineers from their companies have been working together since then. Fiat has delivered 600 Pacifica Hybrid minivans to Waymo so far, the companies said. Earlier this year the companies said 'thousands' more would be added. Waymo and Jaguar said they aim to develop a 'premium self-driving electric vehicle' based on a new I-PACE model. The news about Waymo's surprising progress comes in the wake of recent disturbing headlines from Tesla and Uber regarding their cars‘ self driving capabilities. Tesla has been dealing with the media fallout from several deadly accidents linked to the the "autopilot", while Uber has reportedly suspended its self-driving tests after a woman was killed in Arizona some months back after being stuck by an autonomous vehicle. Waymo has so far been luciky to sidestep any bad press and has been silently executing on this partnership and pushing its software forward. Meanwhile, the great race to be the first to roll out a truly self-driving vehicles is only accelerating, and just yesterday SoftBank announced that it would make a $2.25 billion investment into General Motors' autonomous driving technology. On Thursday morning, tech-investing giant SoftBank Vision Fund announced it would invest $2.25 billion in General Motors Co.’s driverless-car unit valuing it at $11.5 billion, creating a new player in the ongoing fierce battle between tech companies and startups to become the first to commercialize autonomous vehicles. The deal will provide not only a major financial backer - a la what Uber tried to do with Warren Buffett and failed - but will also "afford GM increased flexibility with respect to capital allocation" as it plows more money into developing a network of autonomous ride-share vehicles, targeted for sometime next year, GM said. Opening the Cruise subsidiary to SoftBank’s giant fund allows it to access capital that investors have been reluctant to grant the 110-year-old auto maker. GM will retain an 80.4% stake in GM Cruise and invest $1.1 billion in the business. 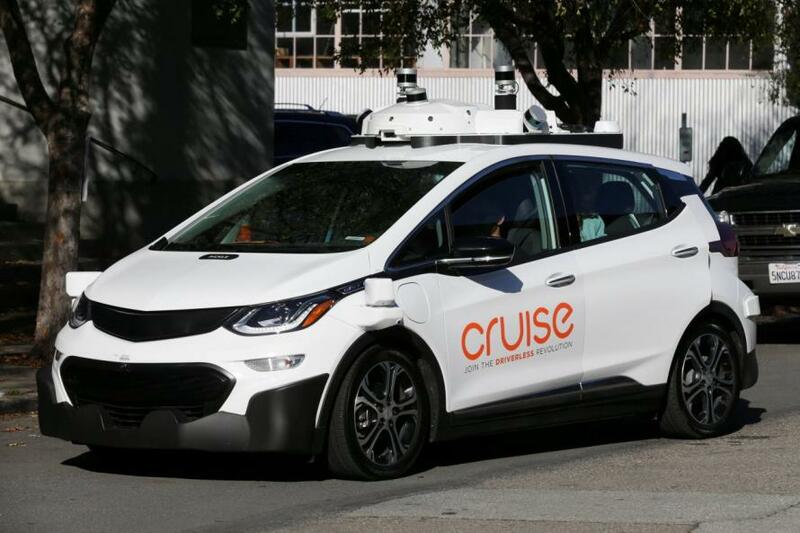 During a press conference Thursday morning, GM Chief Executive Mary Barra called it a “landmark” investment that gives GM Cruise the capital it needs to get its driverless-car business to market. With the Softbank investment and the news that Waymo is working with Chrysler and could be working with both Uber and Jaguar, there is no doubt that the race for full autonomous has now officially been put into high gear.